LP is red vinyl at 45 RPM in jacket at + LP3 coupon for full album download. When he was approached by Scion in 2011 to make an album for the music promotion arm of the car company, Reigning Sound frontman Greg Cartwright found himself unable to refuse_despite his band's tenuous existence at the time. "Several line-up changes had ensued after the original Memphis quartet disbanded, and I found myself considering the possibility of shedding the Reigning Sound moniker," muses Cartwright. "I had decided to take a break to work on production for other people and write songs for The Parting Gifts, my upcoming collaboration with Coco Hames." But now, Reigning Sound had an offer on the table, and there was no band. Besides Cartwright, the one constant of Reigning Sound's previous three years was keyboardist Dave Amels, who was moonlighting in The Jay Vons, the Brooklyn soul combo formed by Long Island natives Michael Catanese, Benny Trokan, and Mikey Post. Sometimes Amels would even pull double duty at gigs where Reigning Sound and The Jay Vons shared a bill. When The Parting Gifts released their outstanding album Strychnine Dandelion in 2010, The Jay Vons opened shows for them on a brief tour. A few months later, Scion came knocking. Around the same time, Dan Auerbach of the Black Keys, who provided guitar for the Parting Gifts record, had just moved to Nashville and was busy putting the final touches on a private studio. "Dan was eager to do some work in the new studio in preparation for an upcoming session with Dr. John, and he offered us some studio time as well as his production assistance. Tentative arrangements with Nashville players evaporated one after another due to prior engagements or last-minute snafus. "There I was, twiddling my thumbs in a Nashville studio, the clock ticking, with no band. On a long shot, I phoned Brooklyn and made a Hail Mary pass to The Jay Vons_and they said yes. I called Scion and asked for three plane tickets and hotel rooms, and in a matter of hours, the band were on their way to Nashville. In two days, we cut five songs. I paired these five with three outtakes from the previous Reigning Sound LP Love and Curses which featured Lance Wille on drums and Dave Gay on bass," recounts Cartwright, adding, "The Greg + Jay Vons line-up of Reigning Sound continues to this day." 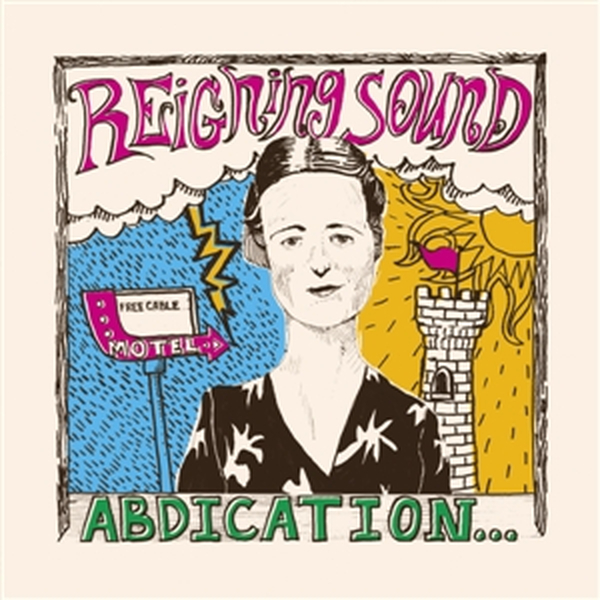 After the release of Abdication_, Reigning Sound put out the much-loved Shattered LP in 2014. Cartwright has also been touring extensively with The Oblivians since they re-formed.